Self-managed superannuation funds are becoming increasingly popular, but there are complexities and compliance requirements that must be considered. Shanahan Swaffield Partners will assist and help you with your Self-Managed Superannuation Funds. We can help you navigate the Self-Managed Superannuation Funds maze. We manage many superannuation funds and are professionally audited by industry audit specialists, Williams Partners, meaning you can have faith that your future is in safe hands. For all your self-managed super fund needs, contact our SSP specialist advisors today. 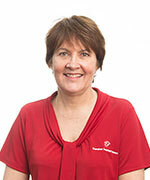 Kerry gained experience in the finance industry with the Commonwealth Bank and Central Queensland University completing her Bachelor of Business in 1984. Kerry went on to work for a local Accounting firm, Shanahan’s, for eight years before joining Anderson and Fry in 1996. During this time she became a CPA and received her public practice certificate in 1997. Kerry is also a Commissioner of Declarations.